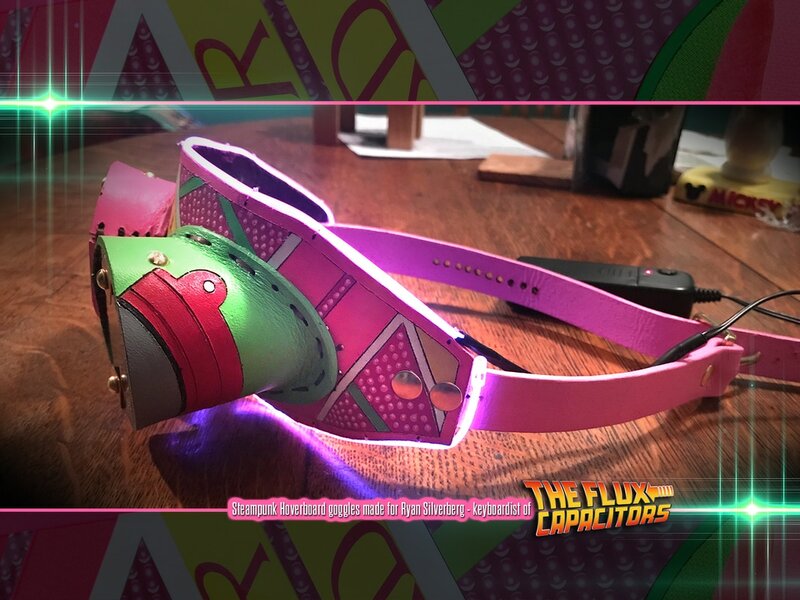 These signature-series Hoverboard-themed goggles were hand-crafted for Ryan of the official Back To The Future '80s Flashback band - The Flux Capacitors. An homage to Marty McFly's Hoverboard, these goggles feature movie accurate colors, brass hardware, and even electro-luminescent wire contours! 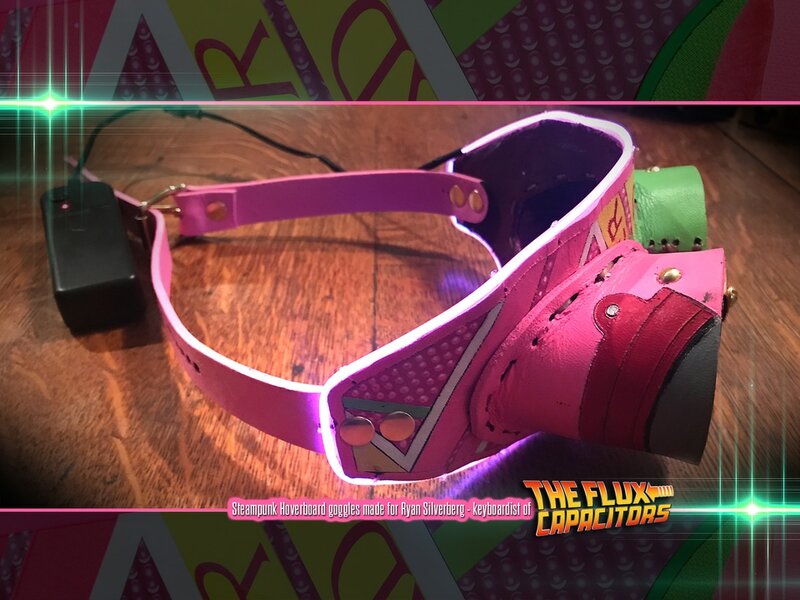 You can even choose the color of your light-up contours! ​And if you would like you may have yours signed by the band! But don't be a bojo, those things don't work on water! Choose your light color below! 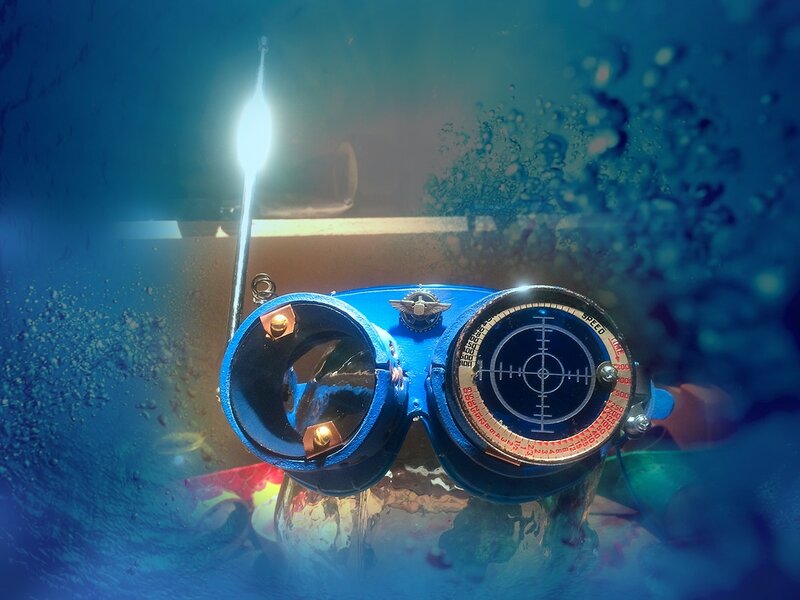 From the depths of the abyss comes Electro Sapphire Deep. 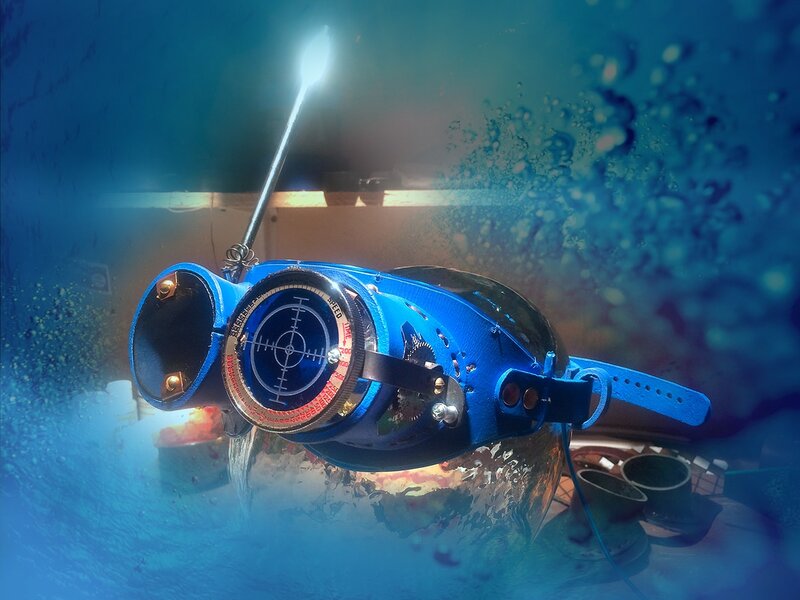 Navigate your way through the liquid blue with azure leather accented by genuine brass hardware, etched lens reticle, telescoping side antennae, and incredible light-up electro-luminescent contours! 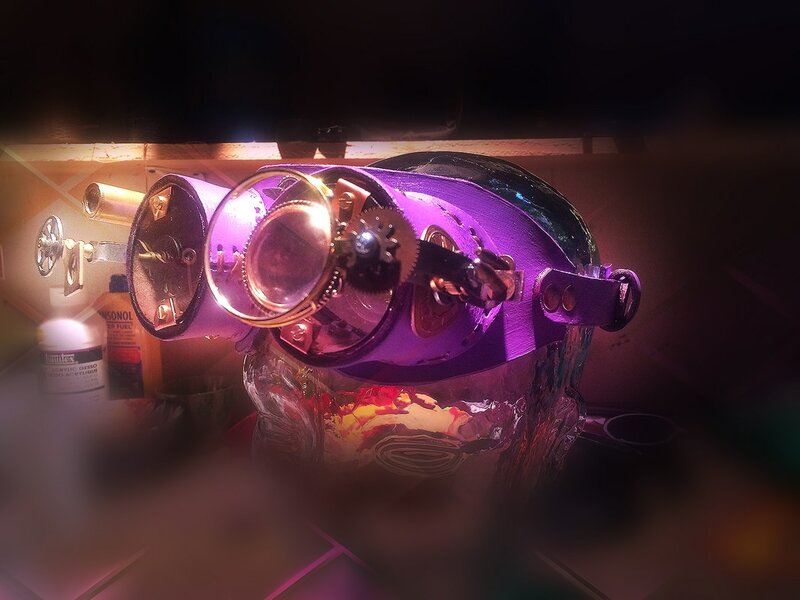 From the far end of the visible spectrum comes Purple Passion! Whimsical to the eye, and delightfully decadent on the head. 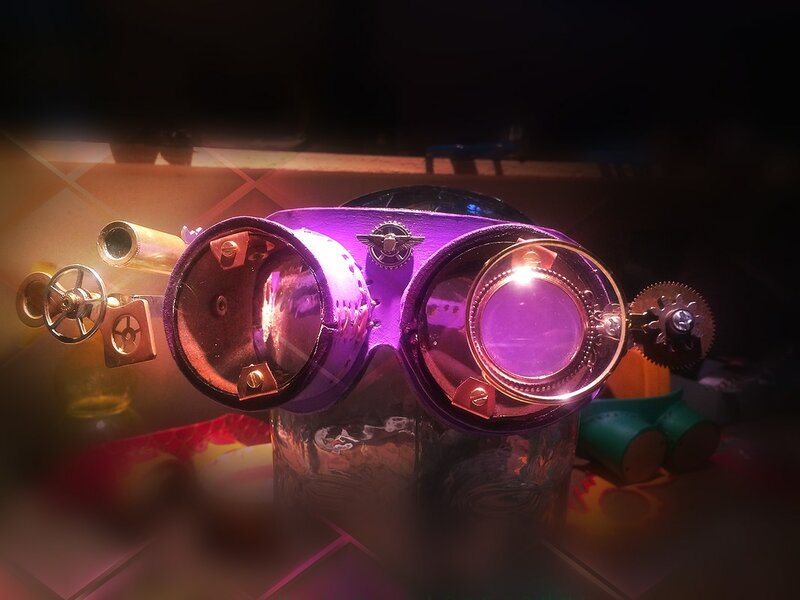 This fanciful amalgamation is simply loaded with real brass hart dare, multiple lenses and loupes, gears, doodads and trinkets! 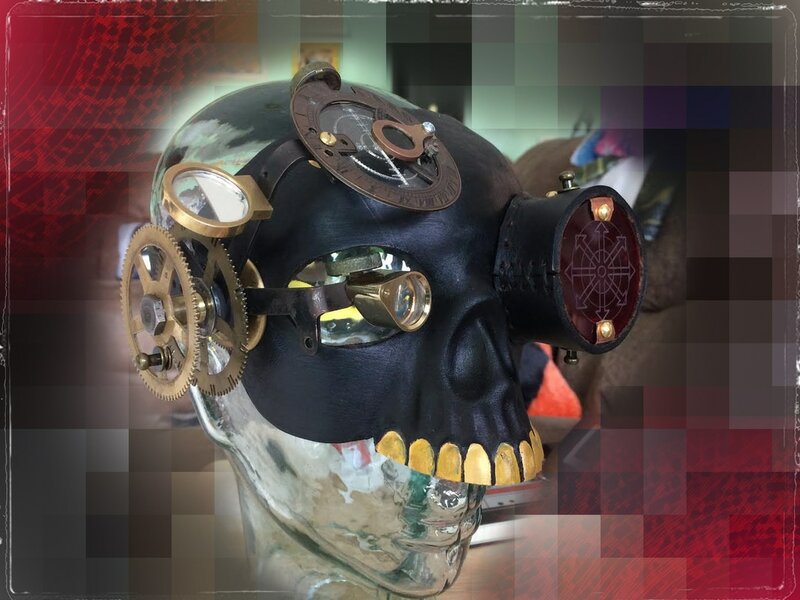 ​This ominous creation has brass hardware falling from the bone, features a red chaos star lens, multiple monocles, gears, and loupes. These red-lensed mutations will pick up signals from space and beyond. 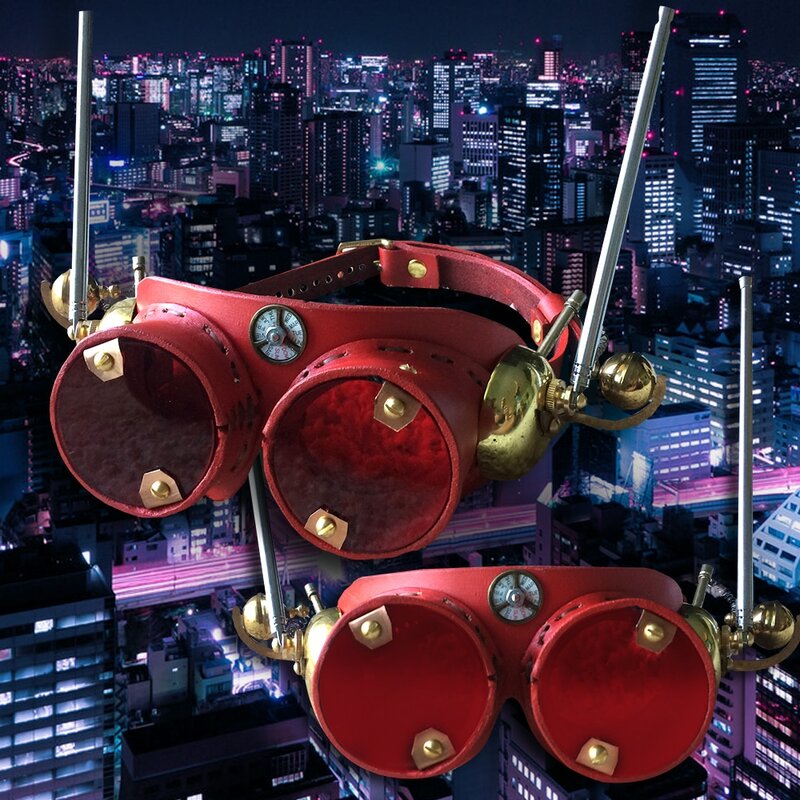 Sporting brass hardware, telescoping antennae, and other vintage, retro-futurist doodads. 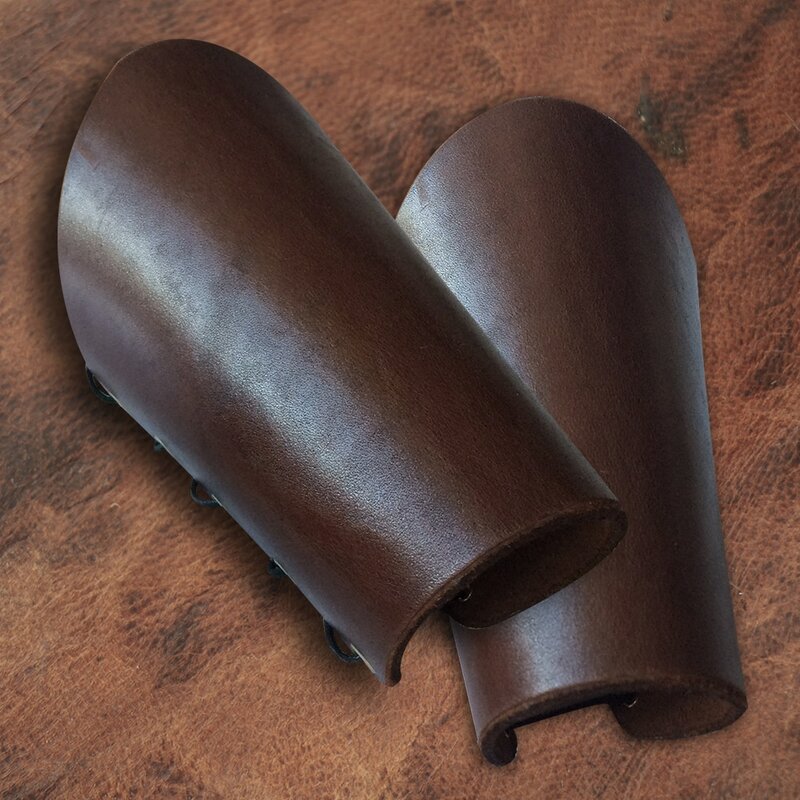 Handmade, comfortable leather bracers with brass grommets to keep them secure around the arm. 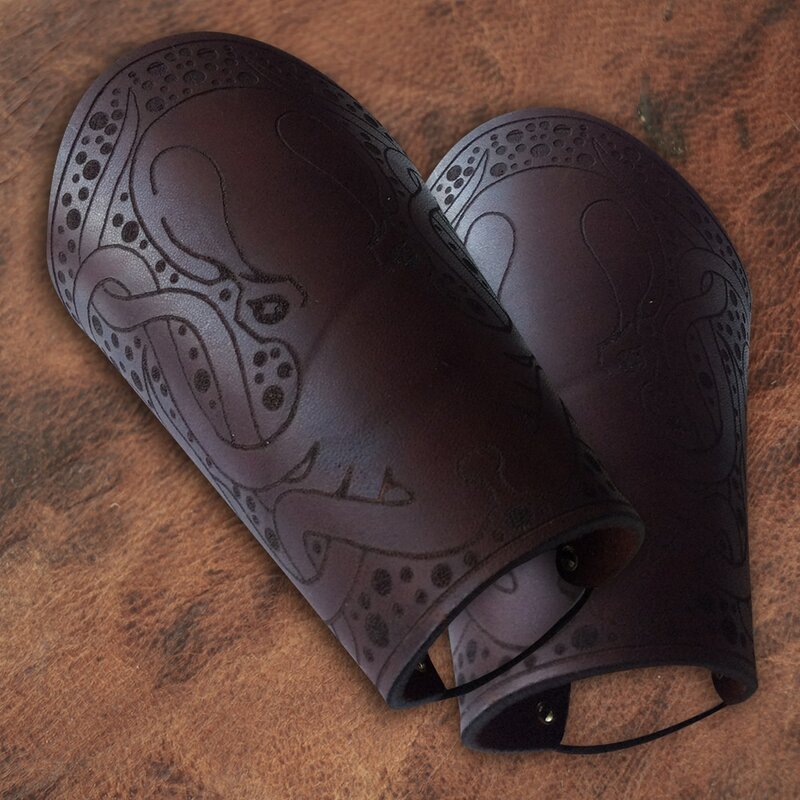 Lasercut with an octopus design, these handmade, comfortable leather bracers have brass grommets to keep them secure around the arm. 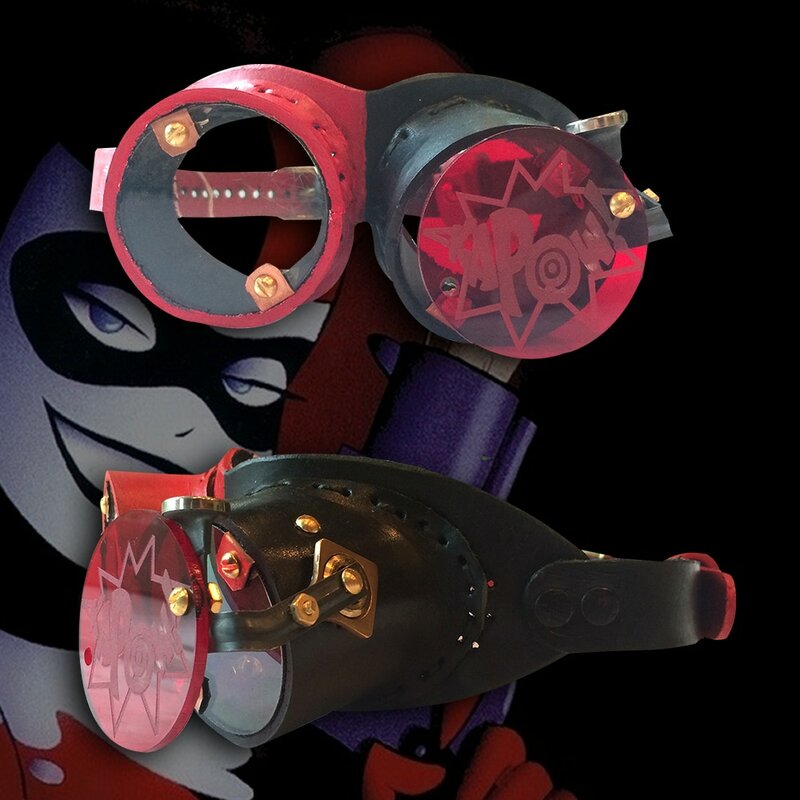 Inspired by DCs' Harley Quinn, these goggles have a new mask created just for this pair! They are hand painted, with an original 'H' typewriter key. This pair is handcrafted with a newly designed mask. They are hand painted and hand stitched with an original typewriter key. This idea was first thought up by Tony Starks' great great great great great grandfather. 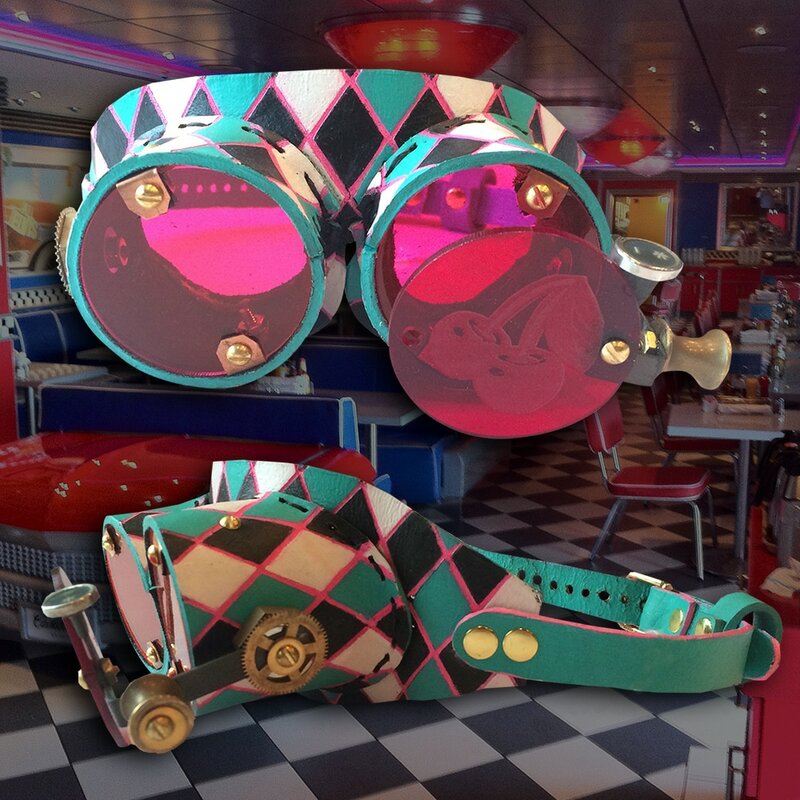 The goggles were inspired by a 50s' diner we saw on our travels. Hand painted to match the interior of the diner - with an original typewriter piece. 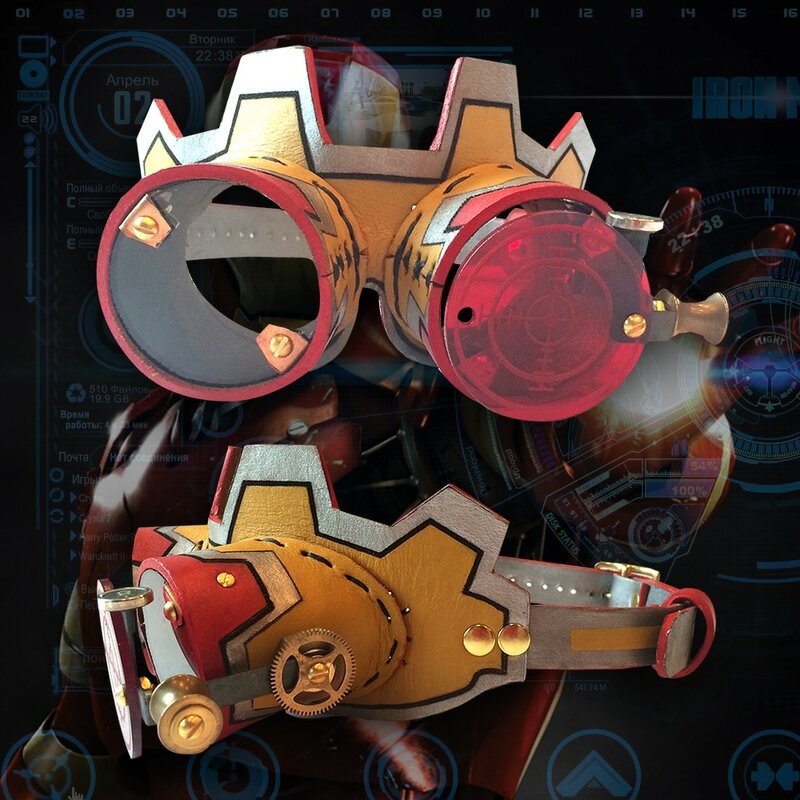 A colloboration between Steamtrunk and Peekaboo Masks, Synchron is a blending of mask and goggle. 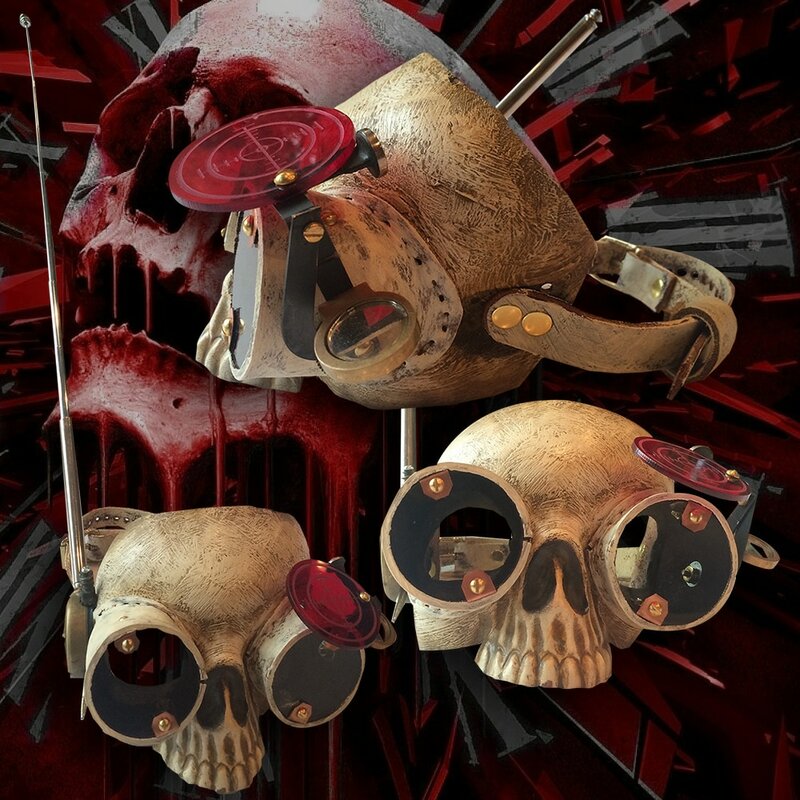 For use in a post-apocolyptic world, or for those into the occult. Please - no sacrifices necessary. Features an original 1-RPM Synchron clock motor. 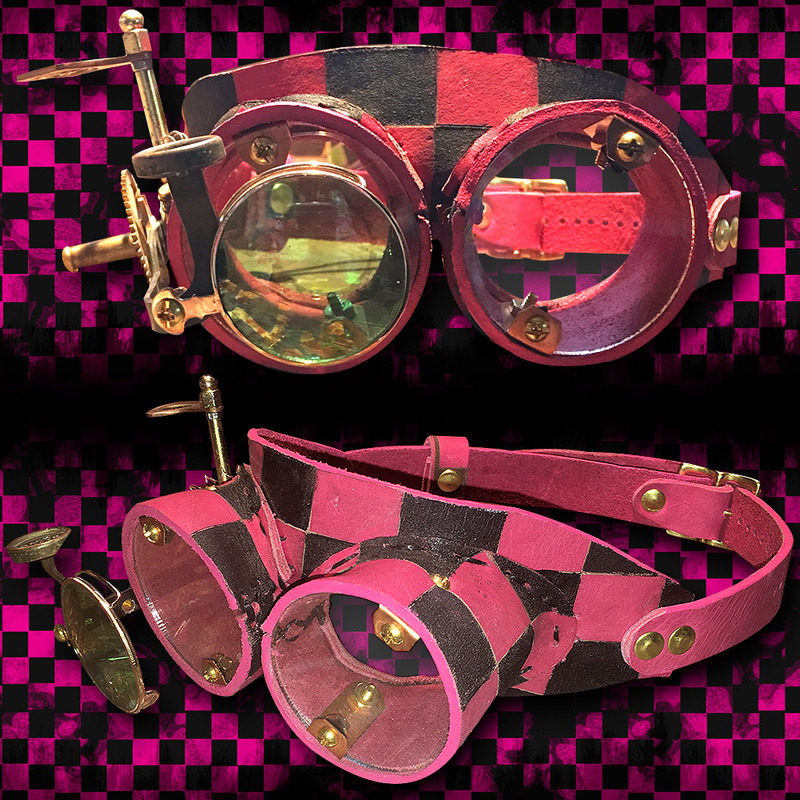 These goggles are handcrafted with pink leather black engraving from our laser, typewriter parts and original clock pieces. Brown Argyle - SOLD OUT! 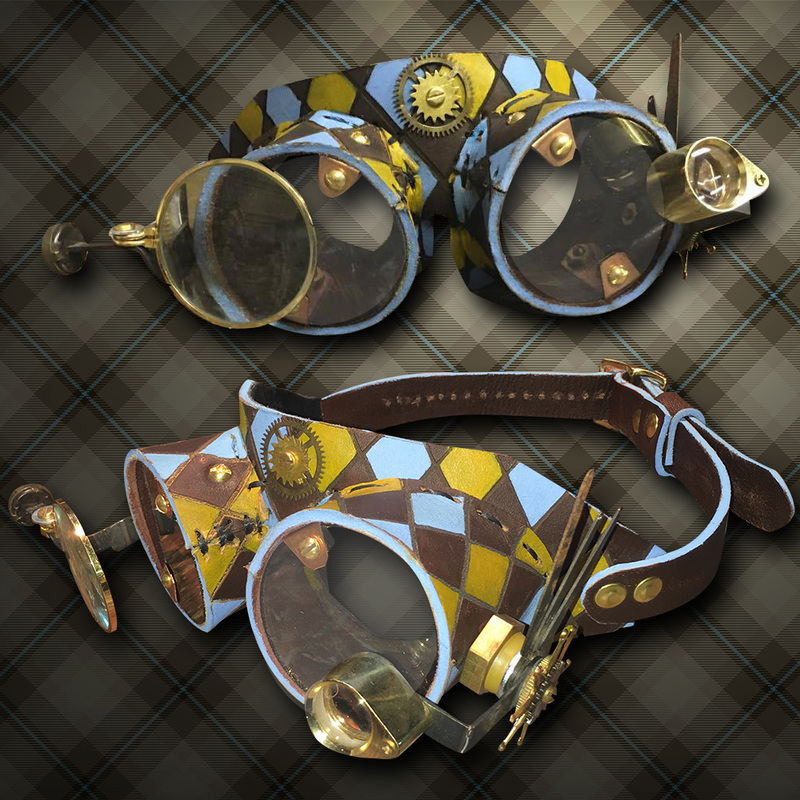 These brown argyle goggles were hand painted and the argyle pattern was etched with our laser. Made with typewriter pieces clock parts and a jewelers loupe. 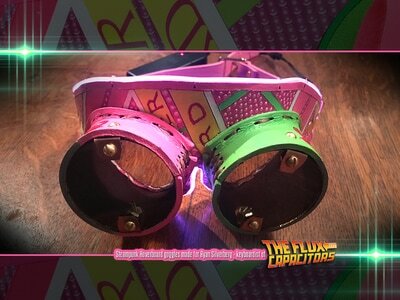 These goggles are a ode to our favorite doctor - the 10th David Tennet. Inspired by the episode "Army of Ghosts" when you wear these you too will be able to see who has been to the other universe. 3D really works! 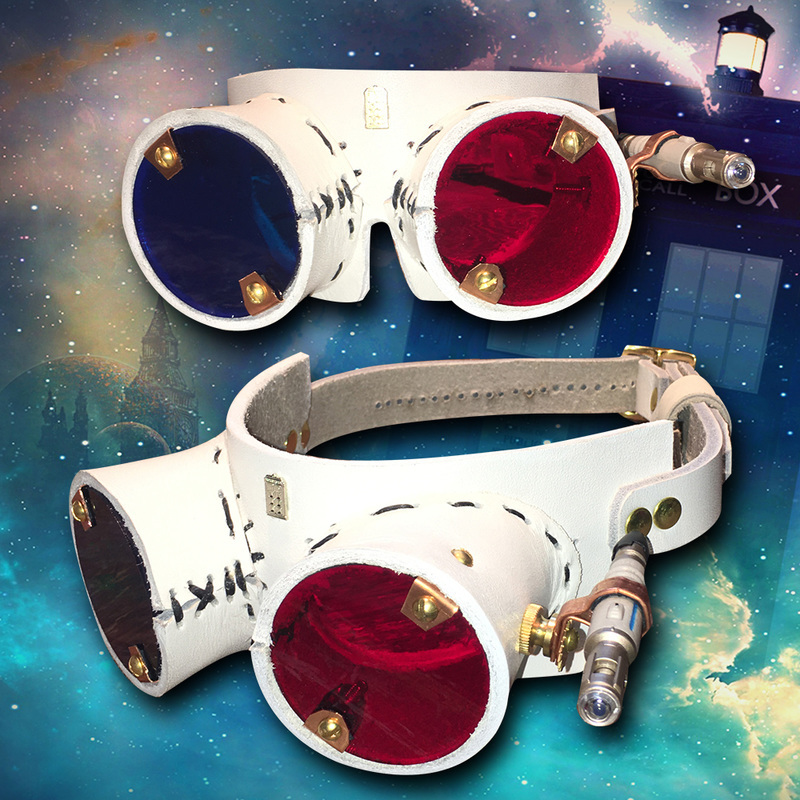 It is made with white leather complete with the 10th Drs sonic screwdriver! 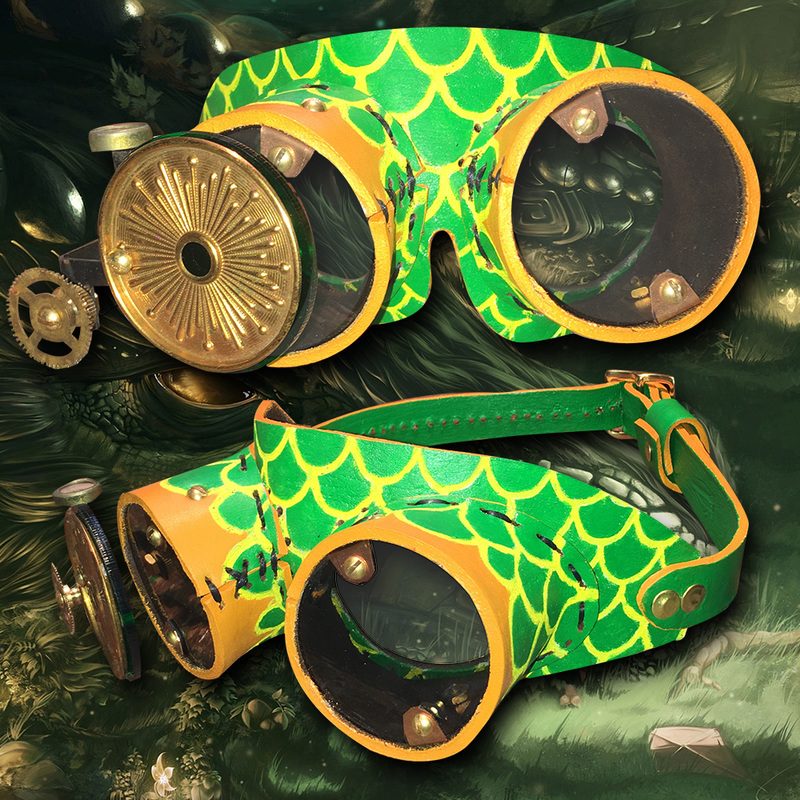 These dragon goggles were originally supposed to be aquaman but when they came out painted they looked like a dragon. 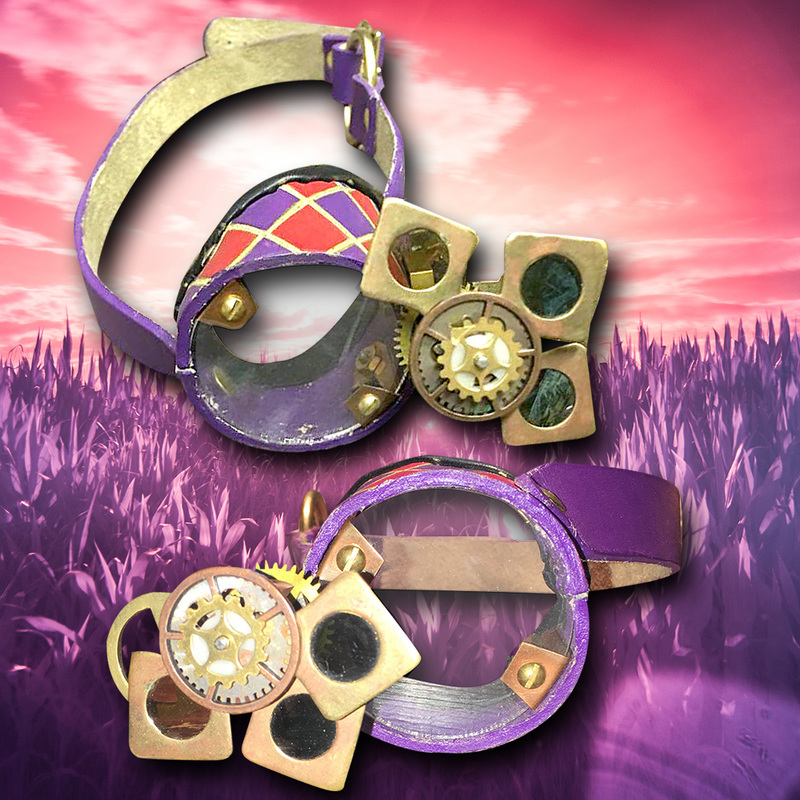 They are hand painted and scales are etched by our laser. 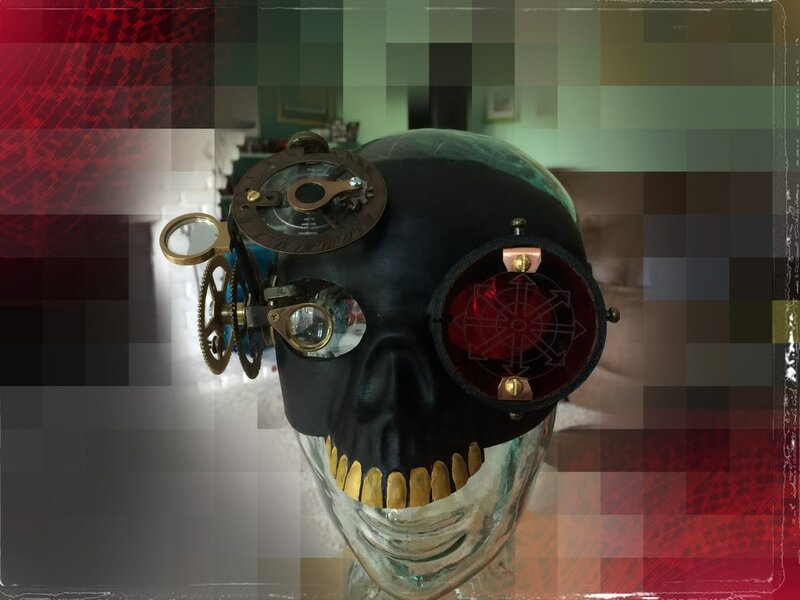 ​Complete with typewriter pieces and vintage clock pieces. 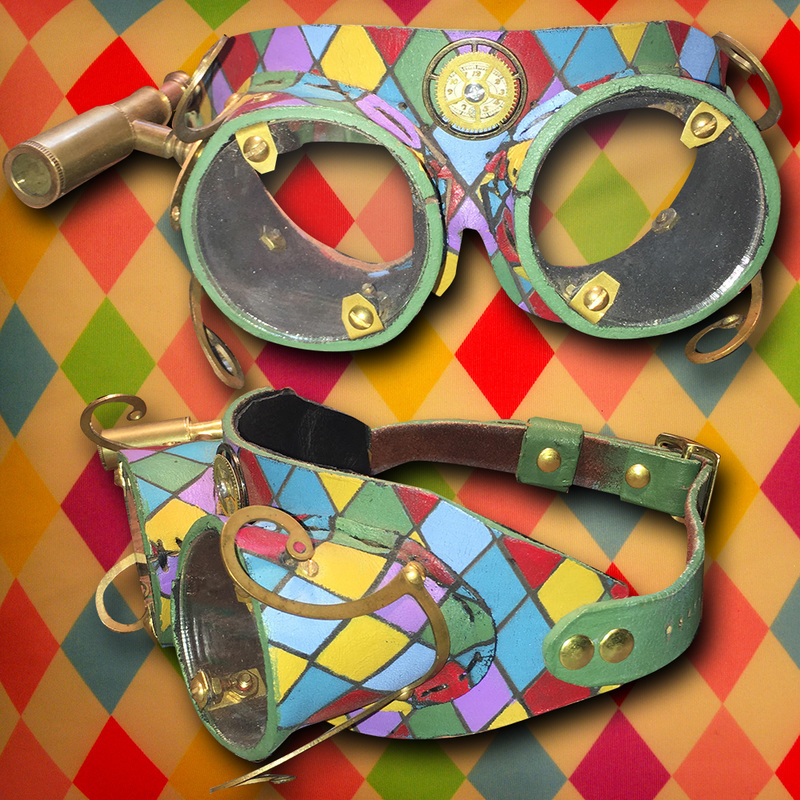 The classical appearance of the Harlequin stock character in the commedia dell'arte of the 1670s, complete with batte or "slapstick", a magic wand used by the character to change the scenery of the play (Maurice Sand, 1860) These goggles are made after this harlequin character. Complete with handpainted craftsmanship and parts from a antique dresser to give it a harlequin look. 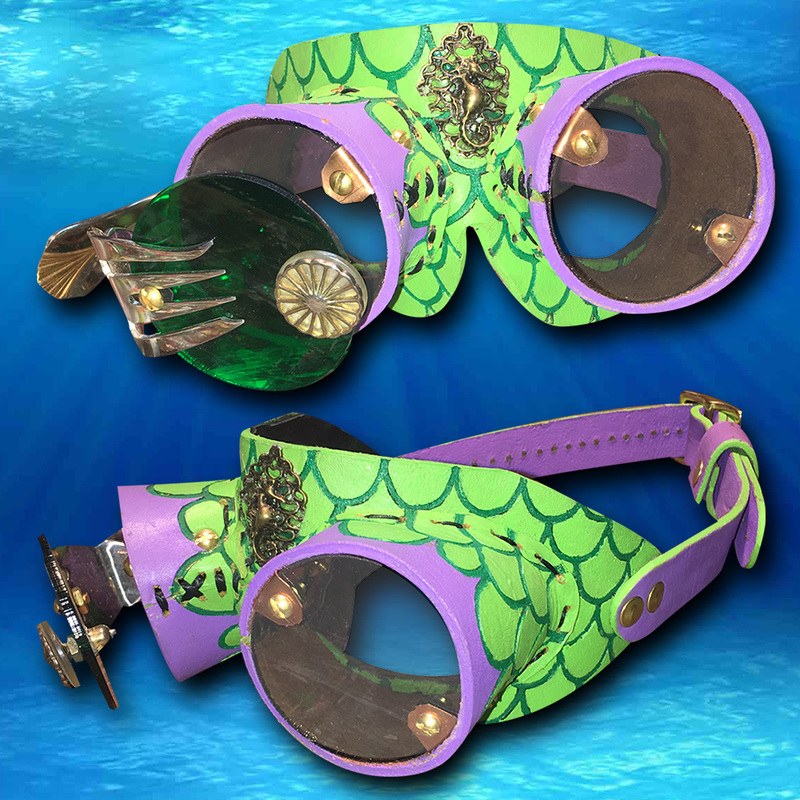 These Ariel mermaid inspired goggles are hand painted with etched scales done by our laser. ​Complete with vintage dinglehopper!! 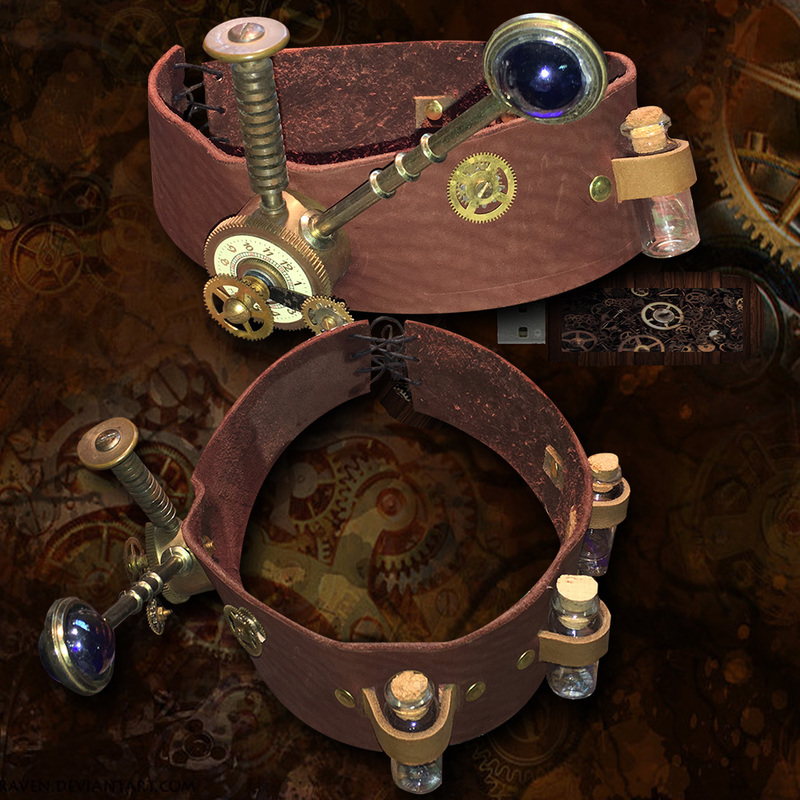 Perfect for any steampunk Ariel outfit. 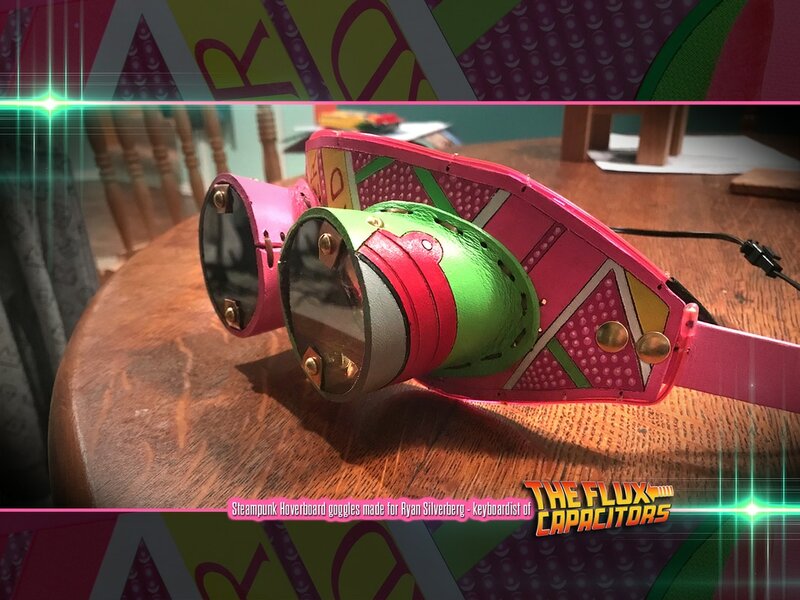 This wonderful monocle was the first design the Mrs helped design by picking the colors and hand painting them. Complete with clock and nautical pieces. This design is made to sit on your hat and steam it out. 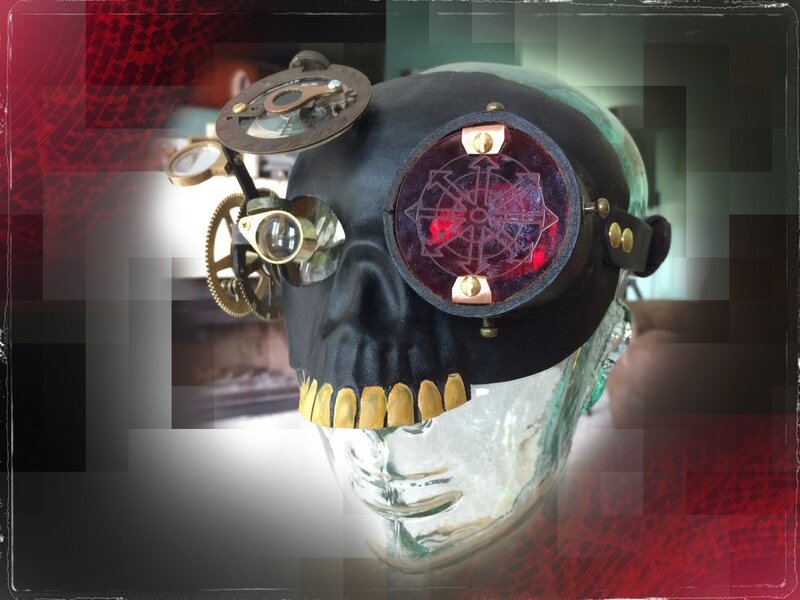 This is handmade with leather and antique parts. ​Complete with bottles for your medicine.